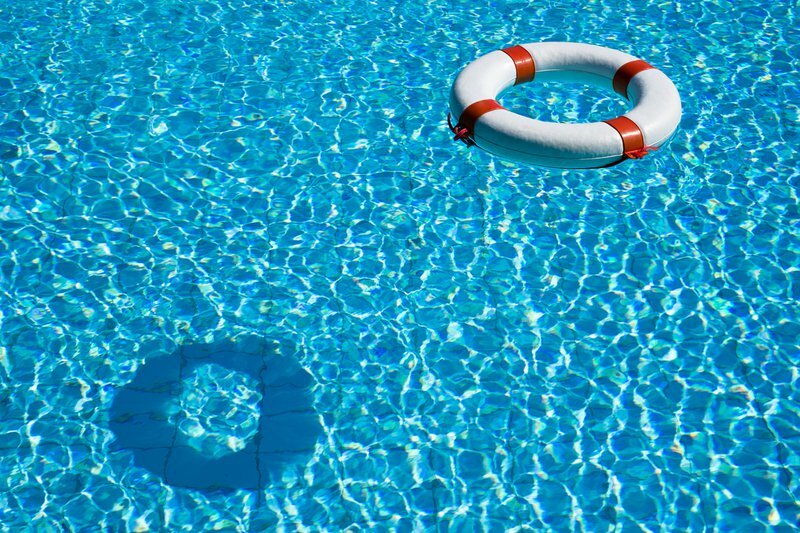 Should “Supporting Effective Instruction State Grants” Be Saved? The Trump administration's initial 2018 budget blueprint, released yesterday, calls for the elimination of Supporting Effective Instruction State Grants—more frequently referred to as Title II, Part A of the Elementary and Secondary Education Act—from the Department of Education’s budget. Should these grants be saved? There is wide, bipartisan agreement, backed by research, that the quality of a school’s teaching and leading are the most significant school factors in promoting students' learning. This bipartisan agreement is reflected in the fact that, when ESEA was reauthorized in December 2015 with strong bipartisan support under the name "The Every Student Succeeds Act" (ESSA), Title II-A remained, with some revisions, to support the preparation, recruitment, and ongoing development of high-quality educators by states and districts. Title II-A funding has historically supported a variety of uses at the state and local levels. 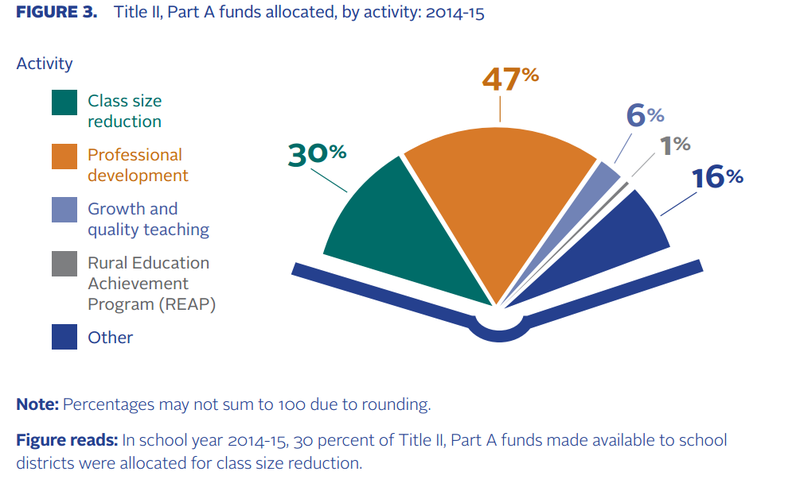 At the local level, the bulk of funds are used to support teachers' professional development and class size reduction (see figure below). The administration's claim that there is "scant evidence of impact" from this program to date is fair. However, this is due in large part to no previous federal attempts to collect meaningful data on how Title II-A dollars were being spent, much less their impact. Take the biggest area of Title II-A spending by local education agencies: professional development, or “PD.” As discussed in New America’s recent report, No Panacea, historically the U.S. Department of Education's data collection has not enabled the tracking of even basic trends in teacher professional development. In its voluntary survey, the Department asks LEAs to respond to broad categories of PD which are not particularly descriptive, such as “professional development provided by professional development coaches.” Unfortunately, the data collected go no deeper. How many hours of coaching are teachers receiving? What qualifications do the coaches have? Does the coaching provide actionable strategies that are relevant to teachers’ students and daily practice (including grade and content area)? Do coaches provide teachers with opportunities to practice new skills, or observe and provide feedback to others? That is, do we have any data to suggest that the implementation of coaching being paid for with Title II-A funds is high-quality and impactful, based on research and evidence? Nope, the data collected currently provide us with no idea. The data also provide no sense of what percentage of teachers in an LEA are receiving these types of PD, let alone how teachers were identified to receive those specific types of PD. To date, the Department has only collected data on the number of teachers participating in PD in an LEA. Likewise, few, if any, states or districts are attempting to collect and assess such data. As such, the Trump administration’s claim that Supporting Effective Instruction State Grants are “poorly targeted” is impossible to back up. State and local usage of Title II-A funds is far from perfect, to be sure. Hence, one could allege that the Trump administration is throwing the proverbial baby out with the bathwater by proposing zero funding for the program. But ESSA may, in fact, have already thrown out much of the undesired bathwater. ESSA revised the list of allowable uses of state and LEA Title II-A funds and updated the definition of professional development to better align with what high-quality research says about supporting improvements in instruction. As such, proposing to eliminate all Title II-A funding before assessing whether ESSA’s refinements seem to be moving the needle on supporting effective instruction is a hasty move that could result in remorse. Given its penchant for bucking precedent, we can hope that the Trump administration may consider walking back this aspect of its proposal in its full budget request to Congress in May. If not, Congress can and should ignore this request—and instead push the administration to focus on ensuring that federal funds going to states and districts for the critical purpose of improving instruction are ultimately serving that goal. Better stewardship of federal taxpayer dollars is a platform that Republicans have run on for years. By having the Department of Education—including its Institute of Education Sciences arm—play a role in helping collect and share data that can promote more impactful Title II-A fund use by states and LEAs, Congress and the Administration can put that platform into practice to better serve students and their families across the nation.